At Midwest Smiles Family Dentistry we strive to provide high-quality patient care with your comfort and convenience in mind. To ensure your convenience below is the information you need about our hours, location, appointment scheduling, insurance acceptance and billing. We know you have many choices when choosing a Dentist in Florissant, MO so we have made requesting an appointment a simple process via our Web site or call us at (314) 653-1200. If, for any reason, you cannot keep a scheduled appointment, kindly give 24-48 hours notice. If you will be delayed, please call us as soon as possible. We offer competitive fees and restorations are guaranteed for up to 2 years. Payment is expected on the day of service. As a courtesy, we will file insurance claims on your behalf. We make every effort to maximize your insurance benefits. We accept most major insurance plans and offer discounts to seniors, military, and patients without insurance. Please call the office to confirm your insurance benefits. Your portion and remaining balances are due at time of check-in. We prefer cash, debit/credit, Visa, Mastercard, Discover, and CareCredit. Feel free to call the office with any questions (314) 653-1200. 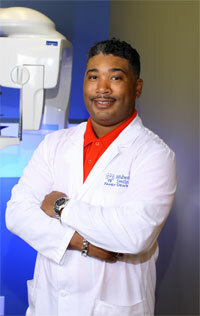 Our team of professionals is here to help you achieve your best dental health. To better serve our patients, we offer CareCredit which is one of the top patient financing partners in the country. CareCredit will help you pay for treatments and procedures not covered by your insurance. They offer No Interest* financing or low minimum monthly payment options so you can get what you want when you want it. With three simple steps, including an instant approval process, it’s easy to apply for CareCredit. After you’re approved, start your dental treatment immediately. No upfront costs for access to CareCredit, no annual fees, and no pre-payment penalties. For over 20 years, CareCredit has helped over five million cardholders get the healthcare treatments they want and need. Digital X-rays which reduces radiation exposure by 90%. Intra Oral Photography which allows our patients to see their teeth live on a large screen. Dr. Ausmer will share findings with you and walk you through how to fix any dental concerns. Air Abrasion which treats minor restorations without injections. Use only distilled water so our patients never worry about contamination from water backflows and impurities found in some tap waters.